This weekend I made quite a bit of progress. 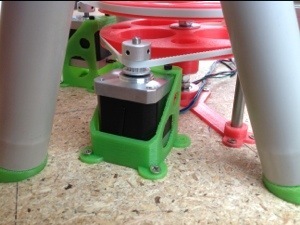 In these images you can see the updated motor holders, the new bed bracket with lead screw, and the power supply roughly in the right spot, ready for the electronics. What you cannot see, is the new inner shaft of the SCARA drive, that now consists of the threaded rod and a 15mm copper pipe. It turns out that the elasticity of the rod itself is now the weak link in the design… The double shaft successfully dampens and oscillations that were apparent before. Bed leveling, and hotbed. 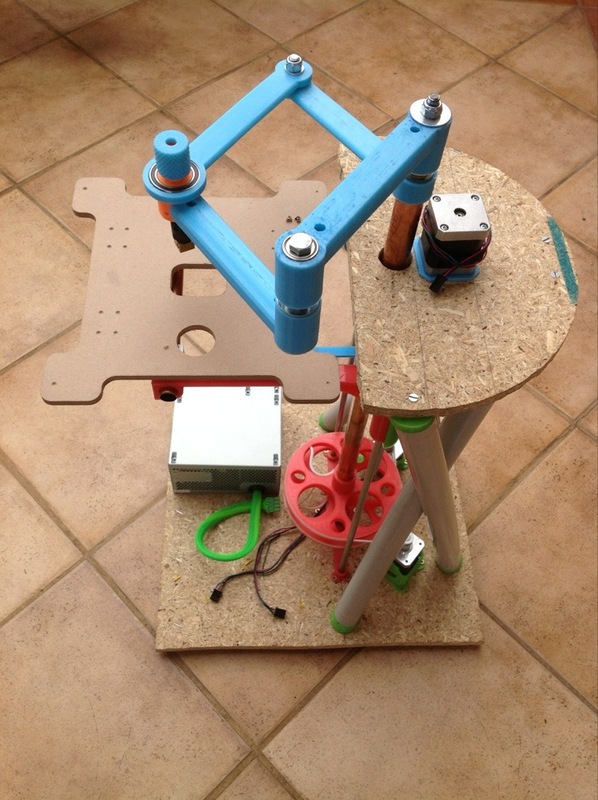 Building of RAMPS for morgan ( my current RAMPS is doing Ecksbot duty ), and the upgrade and mounting of the extruder. There’s also work afoot to port LinuxCNC to run on the BeagleBone, which could interface directoy to the BeBoPr or Replicape capes, or to a RAMPS board with a bit of work. Check the LinuxCNC developer list for details. …and that’s an awesome build!! Kudos! Smoothie Firmware/Smoothieboard makes it easy to add arm solutions, and is awesome, use it ! I managed to modify Marlin on RAMPS… See my latest post! And congrats with the Hack A Day link! Did you buy the correct size pully belts from the start or did you somehow cut and mend them for a custom fit? The belts are actually open ended. You can see the ends of it pulling into one of the large circle cutouts of the shaft pulleys. This way I did not have to put teeth on the pulleys, and the low cost open ended belts. I am very much interested in your Scara Arm 3D Printer. Just some quick questions before i purchase this unit. 1) How durable it is? 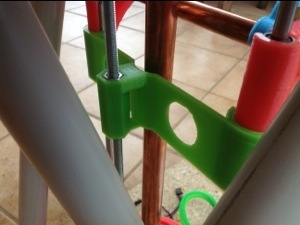 2) Which printing filament it uses? 3) Is this support multi color printing? 5) 3D Printed Part layer height accuracy?